“We always grew buckwheat in our family farm. My mother’s buckwheat bread, pies and pastry were famous, and people kept asking to buy these products. So, I thought we could go into real business, as we already had a unique product and a market. When I started the business, we lacked sufficient production space and capacities to meet the demand from individual buyers, other bakeries and retail chains. The timing of Swisscontact support to tackle these challenges was serendipitous. With this support, I built the bakery from scratch, purchased a bakery oven with a much larger capacity and other equipment. I also benefitted from two Senior Expert from the Senior Expert Corps who helped me improve the quality of products, add new ones, enhance marketing efforts and find new sales channels. With the support of Swisscontact, my mother and I achieved our dream of running our own business and employ other people. 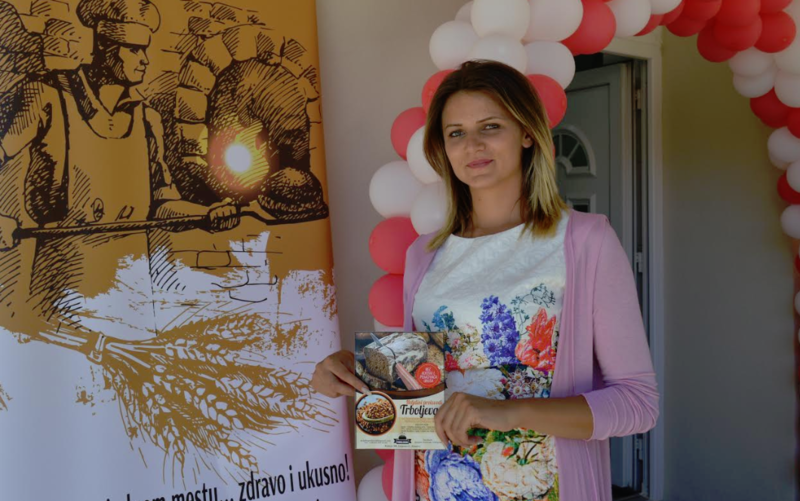 I am now working on establishing a strong brand for our non-industrial buckwheat products and expand the market further.” Danica Trboljevac.